DIANA Neves has always had a hot hand for the Port City Power but her time at WNBL club Logan Thunder last season and with the Portugal national team has improved her greatly. 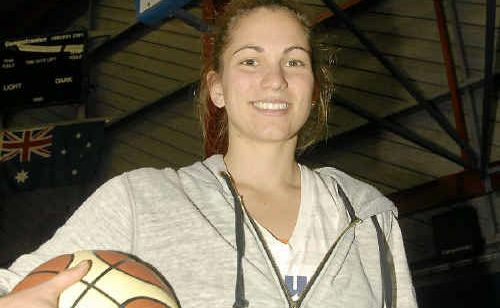 Those experiences have made her an even more dangerous proposition for teams in the QBL. She's been back for half a dozen games with the Power as they embark on an historic three-peat and can't see why they can't achieve it. Tomorrow night, the girls have Cairns, who inflicted the Power's first defeat for this season on it last weekend and Neves is sure the tables will be turned. How was your time at the WNBL? I got a lot of experience playing with those girls, like Emma Randall, an Olympian, and Opals player Kristen Veal. (Head coach) Olaf (Lange) and Sandy Brondello, having individuals with them every week was fantastic. Talking about shooting style, dribbling technique, coming off screens, it was amazing. They taught me to be a smarter player, how to read the defence, shot selection. His knowledge about the game was unlike any coach I’ve had before. How much has your shooting improved? I’ve always been able to score but my shot selection wasn’t all that good. Just learning when to shoot, when to take a dribble and when not to…Olaf uses biomechanics and physics to teach you how to shoot and dribble. How did you come to be playing in Portugal? One of my college teammates was over there and they saw her stats and then mine and my last name is Portuguese, so they got in contact and asked me if I wanted to play professionally (Neves has dual citizenship). I got my passport renewed and played half a season on an island in the Azores, then got selected in the national team and travelled to Finland, Norway and Sweden. It was amazing. Can you win the three-peat? That’s the plan. We have the talent and capabilities to do it. We showed in Townsville it’s not just us scoring 100 points to win the game, our defence was really good. When your shooting’s down, you need to play hard defence.